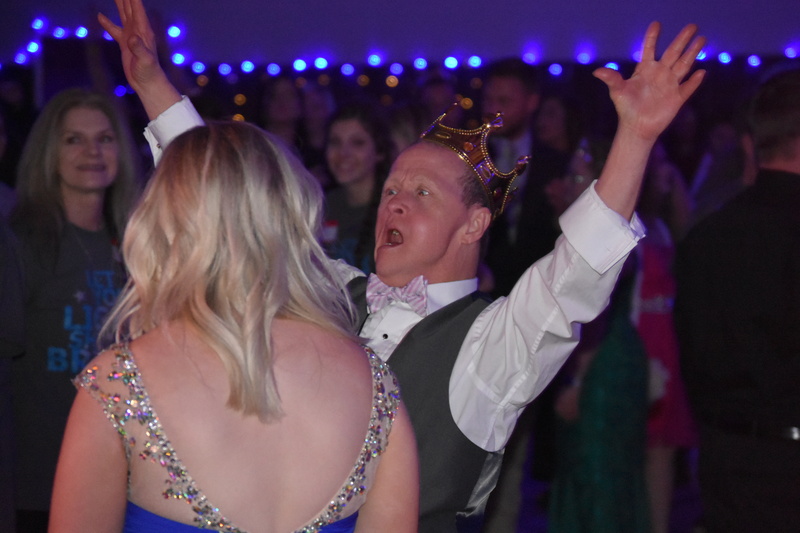 FALKVILLE – On Friday evening, Fairview Church of God/The Grace Place in Falkville hosted its third annual Night to Shine Prom for the special needs community of a multi-county area, including Cullman County. Night to Shine is a ministry of the Tim Tebow Foundation, which defines it as “an unforgettable prom night experience, centered on God’s love, for people with special needs ages 14 and older.” More than 600 Night to Shine events took place worldwide Friday night. Guests arrived and were assigned “buddies” to serve as their prom dates. Then they became stars: they got to roll up to the front of the church in limousines supplied by Hartselle business owner Jason Wisner, enter the building on a red carpet through a gauntlet of picture-snapping paparazzi and cheering fans, and get their prom pictures made. The ladies could go for hair and makeup, and the gents could get their shoes shined, even if they were wearing sneakers! From there, they could go show off their vocal chops with a little karaoke in the church sanctuary or hit the dance floor in the gym with a DJ from Sullivan Productions. Dinner was on the house for guests and their family members, thanks to Zaxby’s and numerous local donors and volunteers. Anna and Elsa came to hang out with fans, and even helped a few vocalists with their karaoke renditions of “Let It Go.” Santa and Mrs. Claus, still on vacation after a busy Christmas season, dropped by to say hi and pose for a few selfies. Even Elvis dropped by to crank out a few tunes. The big moment of the evening was a video greeting from Tebow himself, followed by the crowning of all the special guests as the Kings and Queens of the prom. Falkville Police and volunteers provided security, while firefighters and EMTs kept everyone healthy. In all, up to 350 volunteers from Grace Place and other area churches and community agencies made sure everyone was safe, happy and having fun. This year’s event was big. Grace Place’s first prom in 2017 drew 67 guests; 2018 saw 138 pre-registered guests alone, with the event open to a limited number of walk-ins, as well. This year saw 180 pre-registrations. Add to those a number of walk-ins and all the volunteers, and leaders estimate that this year’s event may have brought 600 people to the church Friday evening. “The people, the joy of the people, just seeing their faces when they come down the red carpet is more than you can imagine to take in and explain to people. It’s fantastic! It’s joy! We love doing it. We love being a part of it. Hayes added, “I want to brag on my team. My team has been dedicated; this whole week, we have spent so many hours–I’d say, past two days, we spent 10 to 14 hours working on stuff this week. We took it home with us and worked on it. We spent from 8 (a.m.) to 6 (p.m.) last night decorating; then we got here at 8 (Friday) and started all over again. The Night to Shine program is increasing in exposure and popularity across the country. Grace Place picked up some guests from the Decatur area after Central Baptist Church there sold out of pre-registrations and had to cap the number of guests due to space requirements. Said Dekich, “It just tells you just how many special needs people there are in our community. And, a lot of times, they go by unseen, because no one notices them. They don’t go out, they don’t do anything else. And so, this gives them the chance to come out and celebrate and meet other people and have fun.